We want to make things simple: fulfill your dog. When a dog is fulfilled both mentally and physically, they are more apt to behave better, listen closer and become an overall balanced being. Throw “formal” obedience training out the window. 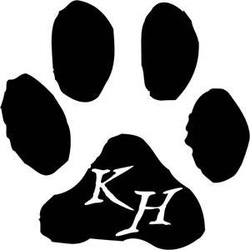 K9 Handling believes that it is through respecting instincts in a breed, working with your dog and focusing your energy that it can lead to a human/canine bond that works. If you’re looking to have a better relationship with your dog, try our unique take on obedience training and begin to have a rewarding experience with your best friend. K9 Handling believes in training concept that creates a working connection between you and your dog. Dogs need both physical AND mental stimulation in order to find balance and thrive. Every dog is different, as is every situation. We strive to handle every dog and handler as an individual. There is no "cookie cutter" solution in dog training. We are about connection to your animal and connection to yourself.